You may be wondering what it takes to have a successful social media presence. With so many platforms available to promote your practice, Facebook is the hive for all things social media marketing thanks to its ability to reach targeted audiences. A successful marketing strategy on Facebook can attract website traffic, reach people outside your loyal patient circle, and give current followers the chance to keep up with practice news, blogs, and specials. To be successful, practices need to publish a good balance of posts—both promoted (paid) and non-promoted (organic). Promoted Facebook posts are paid content (e.g. ads) designed to attract a targeted demographic interested in services your practice offers. In other words, they are intended to reach people who might benefit from your message, including users who already follow your practice’s page as well as those who don’t. Non-promoted posts include organic (non-paid) social content shared by your practice. These types of posts can feature industry-related articles, videos, quotes, patient results, or practice news, and they are great for sharing, generating conversation, and educating your audience on different treatments your practice offers. Since you are sharing content with people who already “like” your page, users may be more inclined to react to a post that is geared toward their interests. We have an educational infographic that outlines great ways to create organic social content patients love. Why Bother with Non-Promoted Posts? Facebook determines which kind of content is presented to users—as well as how frequently it’s displayed—using an algorithm. The algorithm favors pages that post high-quality, relevant content over those that are excessively promotional. The latter type of page will unfortunately have a more limited organic and paid reach. Achieving a balance between engaging promoted and non-promoted content is key for ensuring your page’s posts and brand get optimal Facebook exposure. Other benefits of organic posts include their ability to boost brand awareness, build a relationship with your existing audience, and generate positive comments, “likes,” and “reactions” (which are now weighted so they affect post ranking slightly more than “likes”). Lastly, non-promoted posts can be a great tool for better understanding your audience—through trial and error, you can decide which types of posts generate the most response/interaction. Facebook engagement is the act of someone “liking,” sharing, or commenting on a social post, thus affecting the visibility of your content. These actions are essential for a social media strategy because they encourage interaction with current and potential patients. 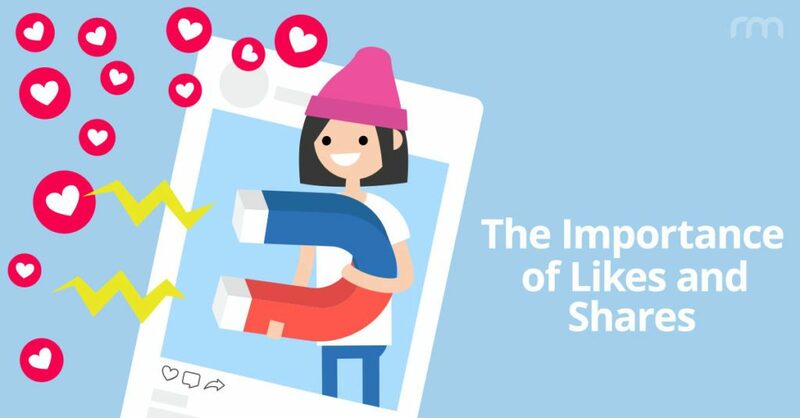 While both “likes” and comments are valuable, “sharing” can enhance the post’s reach, which increases the number of Facebook users that see your content. To help make non-promoted posts engaging, try asking conversation-starting questions like “How do you get your smile camera-ready for the holidays?” or “What, if anything, would you like to improve about yourself in the New Year?” to influence comments. Posts created to announce practice specials or news are also excellent for gaining “likes,” shares, or tags. When this type of engagement occurs, your post can reach a variety of other audiences, potentially attracting new followers and prospective patients. Finally, it’s best to include a call to action such as: “Tag someone who makes you smile!” or “Share with a friend.” Doing so is more likely to result in your audience engaging with your content, effectively boosting your post reach. Need Help? Want to Learn More? Let’s Chat. If you are interested in learning more about how to implement a successful social media marketing strategy, our experienced Social Team at Rosemont Media is available to help advise you. Contact us to start your social media marketing efforts today! Editor’s note: The original version of this post was published on November 28, 2017. Kelsey arrived at Rosemont Media with multifaceted writing experience in hospitality, health and wellness, politics, and news. 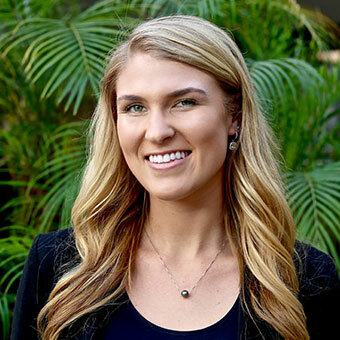 She attended San Diego State University in her hometown, San Diego, as part of the Women’s Rowing team. After earning her degree in communications and years of being spoiled with close to perfect weather, Kelsey continued her life on the water as a rowing coach while also pursuing her career in writing. Kelsey has a great passion for the water, but she’s also an adventure junky, movie connoisseur, and food enthusiast. She can often be found engaging in alternative activities such as hiking, yoga, camping, and speed walking to the nearest food destination.